What I love most about writing, and thought I would love most even before I was published, is the freedom it gives you. Freedom to write when you want and where you want, about what you want and how you want to. For a few years I probably averaged a 1,000 published words a year (this was when I used to spend 6 months in the UK and 6 months travelling round the world). Now my average is more like 1,000 words a day. (I try not to work weekends unless I’m really behind on a deadline or so desperate to tell a story that it just can’t wait. I’m writing this on Saturday though - so I probably write more often at weekends than not.) If I've written a 1,000 words in a day I stick a sticker on my annual wall chart. I like seeing the stickers build up only... only there never seems to be enough. Not every day’s got a sticker and I want to write more. I always think I could do more, if I was more focused more, more disciplined yaddah yaddah yaddah. I call it writer's guilt but really an average of a 1,000 words a day is good.... isn't it? I’ve won two children’s books of the year this year (Stockton and Shrewsbury) and will have had 3 novels out this year in 10 days time. 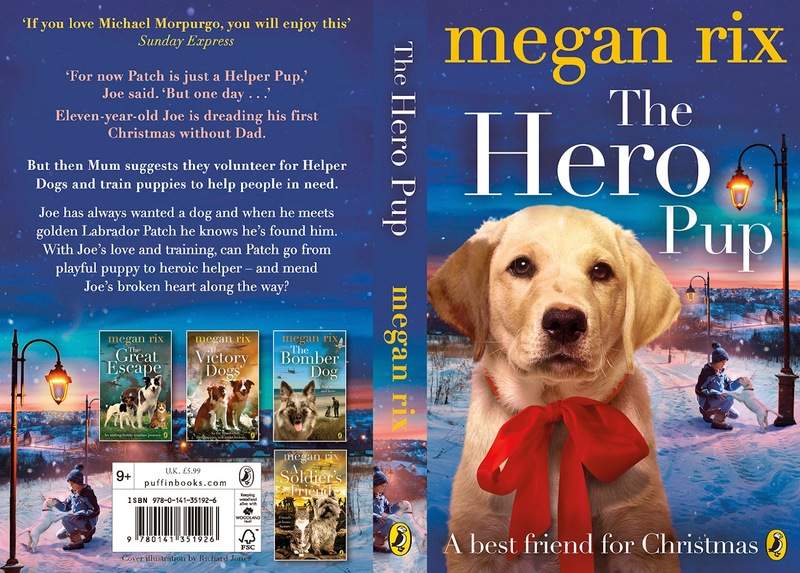 'The Hero Pup' is written under my Megan Rix pseudonym and being published by Puffin. It follows an assistance dog puppy from his birth until his graduation as a fully-fledged Helper Dog. Anyone who knows me knows how close this book is to my heart and I'm very much looking forward to working with guide dogs, medical alert dogs and PAT dogs on the book tour. But not only do I have ‘The Hero Pup’ coming out under my Megan Rix pseudonym on the 1st of October I also have the first in a new series of books about the Secret Animal Society coming out under my Ruth Symes name. 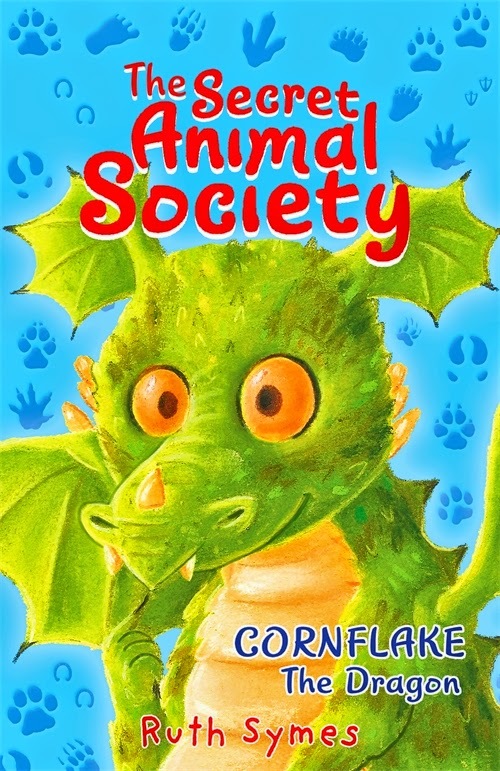 'Cornflake the Dragon' is being published by Piccadilly. It’s about a school lizard that turns into a dragon when it’s taken home for the holidays. How many words do other writers write each day? I don't know. They probably all do much more or maybe they do less but every word they write is pure gold. And what about the thinking time? You've got to have thinking time, or I have. I like to mull over the story for a month or so these days. Not forcing it to come. Just researching and thinking about characters until I know, absolutely KNOW it's the story I want to tell. I don’t get a sticker for thinking but it’s just as valuable. Then it comes to the talks at schools and festivals – meeting your target audience. In the past year I've spoken at 16 schools and 5 festivals - an average of little over one a mouth. Is it enough? It feels like the right amount for me but I know of other writers who do lots more. Should I be doing lots more? I don’t know. And that's what comes with having a career where you choose so much for yourself. There's so many choices that it's hard to know if you've made the right one. But better to make the mistake yourself than be living someone else’s mistake. Maybe there shouldn't be writer's guilt or writer's goals maybe we should just have the aim of improving every day. My website's are: www.meganrix.com and www.ruthsymes.com.